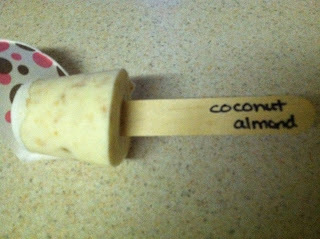 The final flavor of the Popsicle Series. 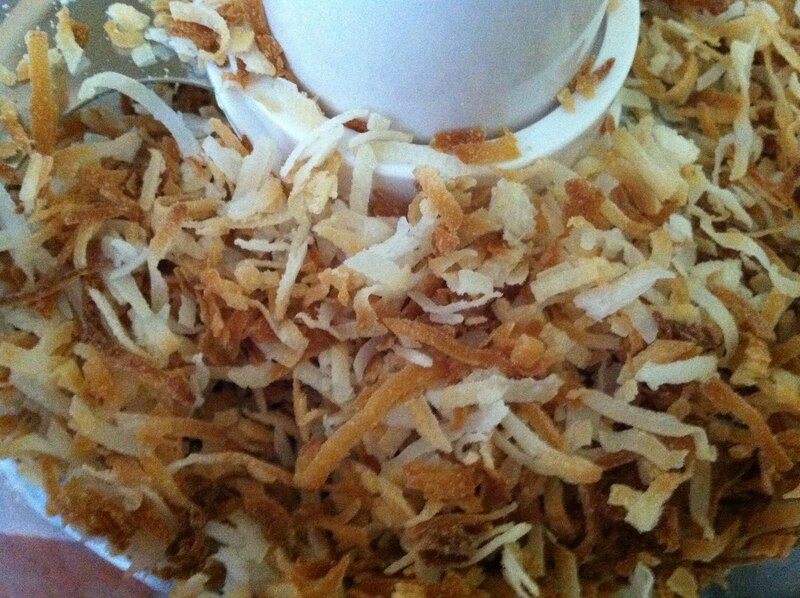 Have I mentioned before I love coconut? It always makes me think of being at the beach, which is a sore subject right now since I'm not going to the beach this year. Boo! Hiss! Oh well, we must save our pennies somehow, I guess. 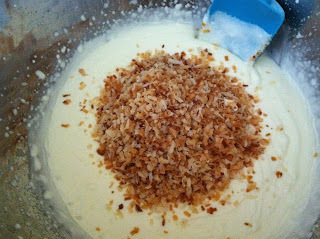 In a medium-large bowl, blend whipping cream and sugar with a hand mixer until soft peaks form. Spread the coconut out onto a baking sheet and put in a 350 degree oven just until it starts to turn brown on the edges. Be careful and watch it closely because it can brown quickly. If you get too distracted with something else, you will have burnt coconut in no time! 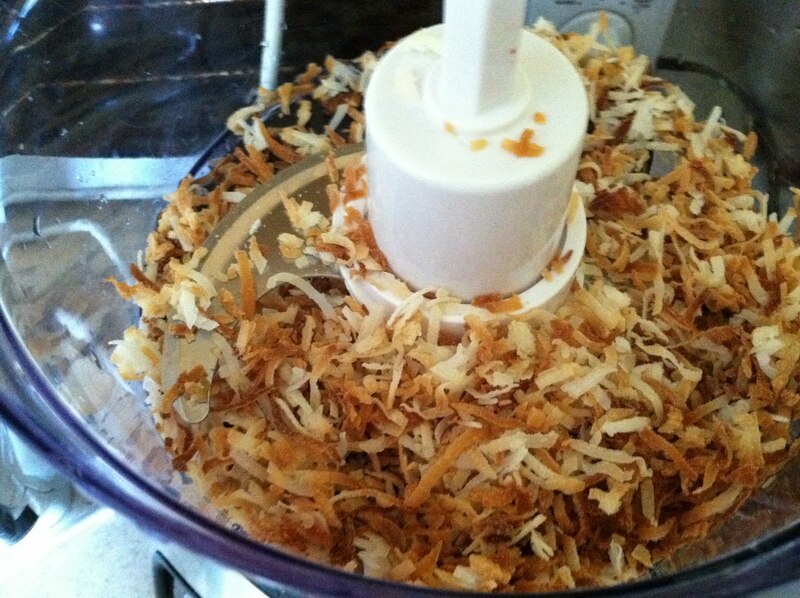 Put the toasted coconut in the food processor and pulse a couple times just to make it a little finer. Add coconut, yogurt, almond extract, and coconut rum to cream mixture. Stir until well blended. 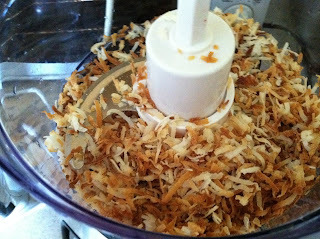 Using 3 oz Dixie cups, scoop the coconut mixture into the cups almost to the top. The original recipe says it makes 9 but I sometimes got as many as 11 cups filled. Remember to cut a small slit at the top of each cup to allow for easier removal from the pop later. 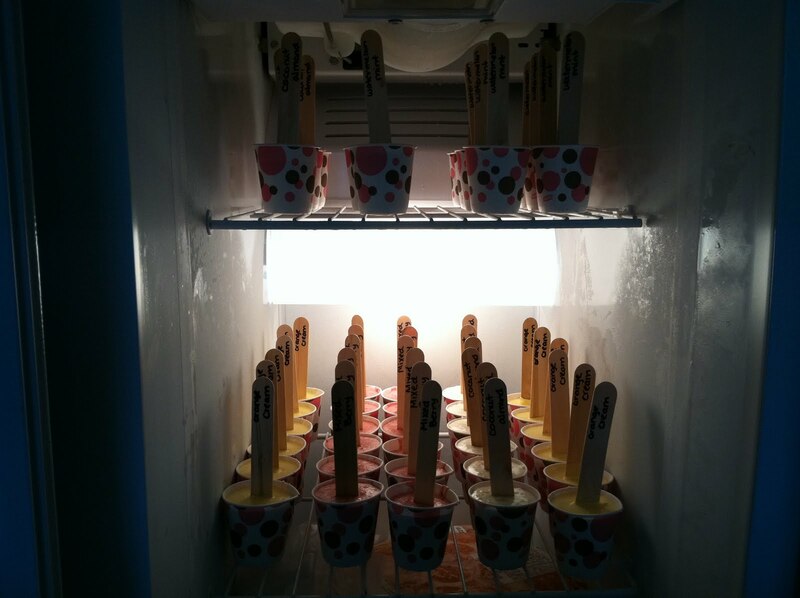 Once the cups are filled, you may insert a popsicle stick. 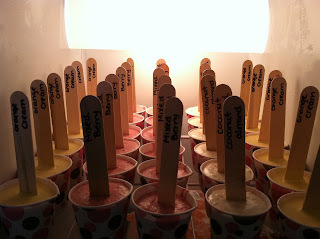 Allow pops to freeze for about 4 hours before serving.